N-Com your Broadcast TV, Radio & Green Energy Specialists. 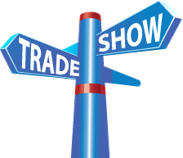 N-Com regularly attends trade shows across Australia and Asia. MAIA is the outstanding, latest-generation, multi-standard platform for the transmission of Digital TV or Digital Radio signal up to a power of 100W RMS in a compact unit. With its 5 star rating the Elettronika MIZAR FM transmitter range is widely used across the globe and known as the Best Value transmitter available today. With remote energy system experience, N-Com expands with our new Green Energy Lighting Systems. Ideal for Councils, the N-Com Green Energy Lighting Systems brighten up those dark areas, grid free and without ongoing costs. From equipment to site installation, N-Com will provide you that missing link. N-Com prides itself in being able to build Broadcast Site facilities anywhere, like Outback Queensland, Australia. N-Com prides itself in building your site and supporting your facility with maintenance and support. The Elettronika MAIA Digital transmitter is the optimum digital television delivery platform, fully suitable for use across the region in all markets. The Elettronika MIZAR FM transmitter is a cost effective, budgetary workhorse used widely by broadcasters worldwide. N-Com is highly experienced in the broadcasting design and construction. From coverage plans to equipment huts to antenna systems, N-Com can accommodate and install your needs. N-Com really understood our challenging community requirements and the amazing team provided a system that has the capabilities that we needed. At Crow FM, it’s why we sound so good to air. We cannot talk highly enough of the N-Com team. N-Com really helped us out. Another transmitter brand just kept letting us down and after discussing the issue with the N-Com team, we purchased their recommended Elettronika MIZAR FM transmitter, complete with warranty and support. Ordered, delivered and on-air in less than 72 hours along with full telephone support, our new transmitter has performed brilliantly through one of the hottest summers on record in Broken Hill. We look forward to working with the N-Com team in the future as we grow and serve our community. Tried and proven in some of the harshest environments on Earth, Elettronika Transmitters provided by N-Com perform year in and year out at the highest standards achievable, demonstrating real return on investment for broadcasters through time proven reliability. The Elettronika factory based in Italy, Europe has been building transmitters for over 50 years. With pride of engineering, workmanship and attention to detail on the build quality, the equipment is superb, delivering a product with true broadcast pedigree. Fully engineered and manufactured in Europe, Elettronika transmitters are ingrained with a proud engineering heritage, used globally with tried and proven robustness, year in and year out. From 30 to 20,000 Watts, N-Com has the Elettronika Transmitter with the capability to function as per design requirements, year in and year out. Performance, performance, performance! From highly efficient power supplies, super clean modulator and exciter stages, through to linear, efficient and ultimately productive power amplifier stages, Elettronika Transmitters are, as we say at N-Com simply perform, year in and year out. Broadcasters demand performance year in and out, and so does the accountant! Elettronika Transmitters represent a long term reliable investment and are proven to be one of the best return on investment products available in the market today. Our Newest Showcase Schedule Happy new year! We have confirmed to showcase our company at the following conferences this year: 15-17, March @ Wagga Wagga RSL, NSW – National Regional Rural and Submetro B ..
Our New Fresh Look Wow! Look at our brand new website and we couldn’t be happier with its look and feel. The new site is any device friendly, meaning you can easily view pages on your PC, Table ..